Fred comes with a standard DMR. It’s hard to see through the front panel but, is clearly shown on the back of the box. 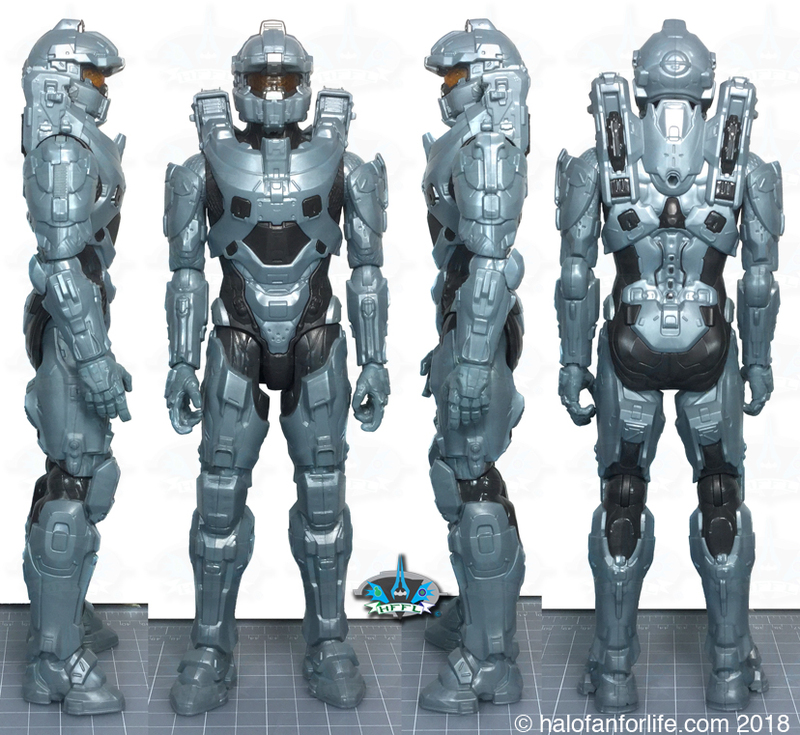 Here’s the figure with the weapon. These are all of the contents of the box. Detail of the Fred’s helmet. I like it. I just can’t help but think how much better these 12 inch figures would look with added paint detail. But read on! The DMR can attach to the back of the figure via a small hole in the back, coupled with a pin attached to the gun (not shown above). The articulation of the 12 inch Mattel figures in comparison to the 6 inch figures is less. 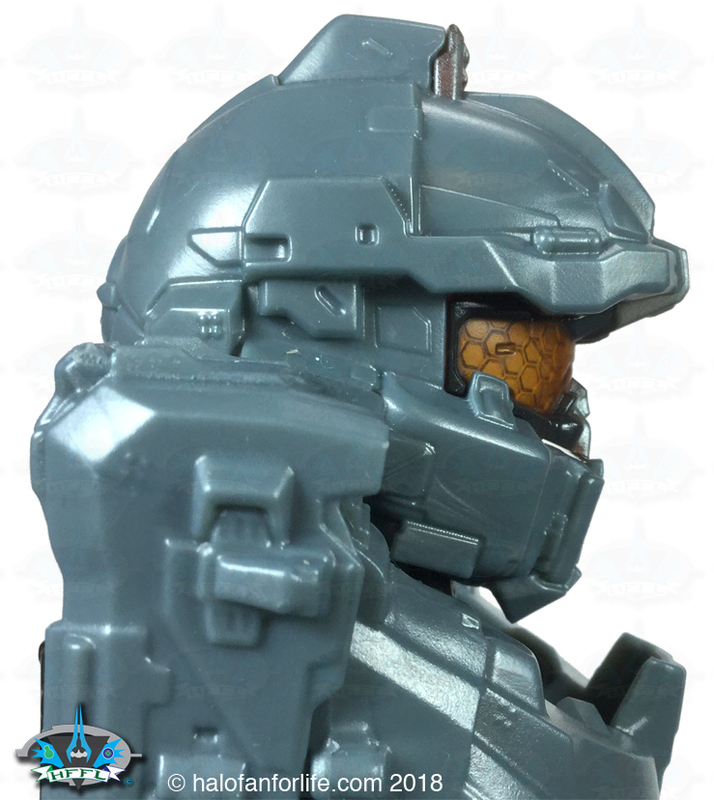 However, the 12 inch figures cost less than half of the 6 inch ones. 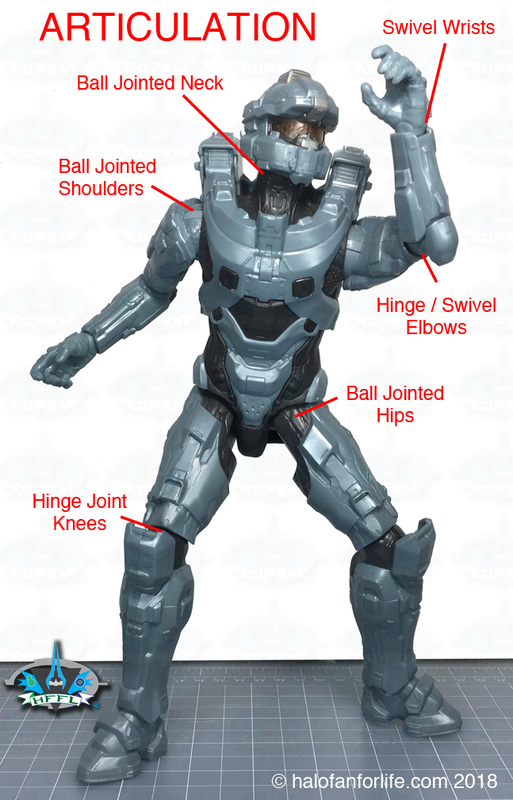 Due to this, the articulation is acceptable, to me. 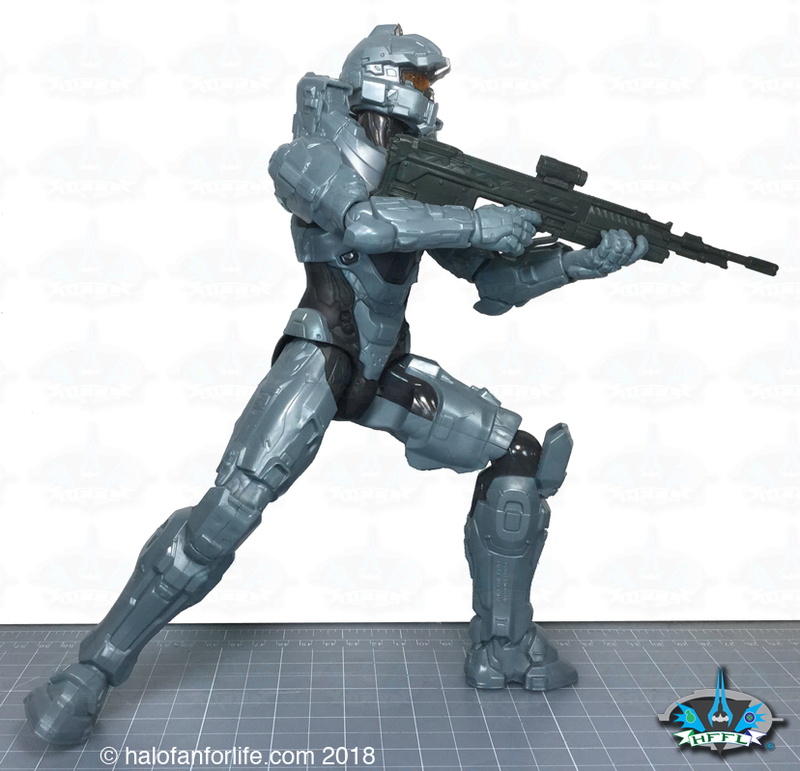 Though the 12 inch Mattel Halo figures have less articulation than their 6 inch counterparts, they can still be put into cool poses, as seen below. Sculpt: Good, though the figure is stretched to fit the box and is compressed at the torso to be thinner than it’s in-game model. 8 of 10 medals! Overall: 40 medals out of a total 50 medals. Affordability here is KEY. Do I recommend this product? Yes. The biggest draw here is that it’s a named character from fabled Blue Team! Though the 12 inch Mattel Halo figures are stretched to meet that height and a bit thin front to back, they are still fun toys. 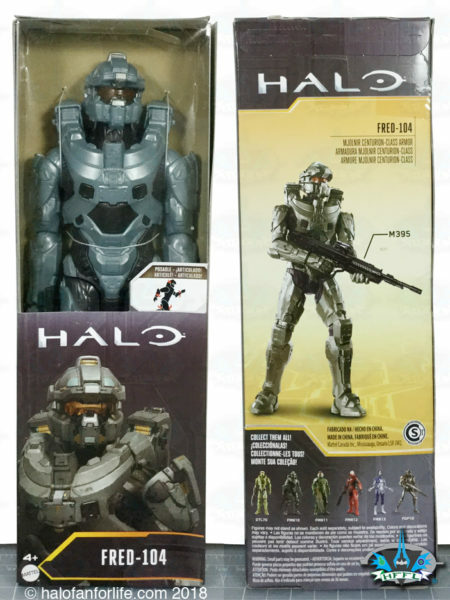 They would be great for kids to play with and make for nice display figures for collectors. The cost is very affordable for these (again I only paid $8.44 for mine from Was Mart).